The first step for many organizations migrating to the cloud is the adoption of SaaS applications, such as Office 365, Box, Salesforce and many more. As an IT professional, this means you are giving permission to your users to store data in the cloud with corporate-approved services, such as OneDrive or SharePoint Online. The decision to move to the cloud is usually supported by a long list of cost and operational benefits. Infrastructure cost reduction? Check. Increased productivity? Check. License cost reduction? Check. But, have you thought about data governance and compliance, malware protection, and collaboration with external vendors? These are great questions to ask as you make this transition. 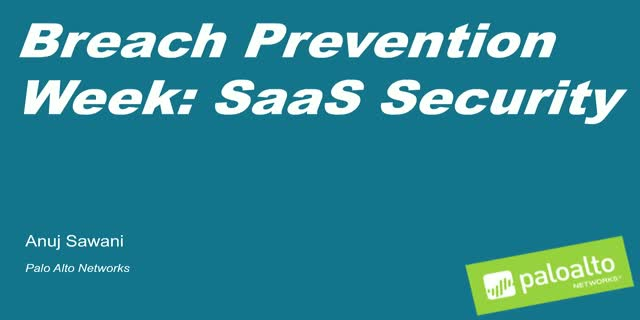 Organizations look to reduce the threat surface exposed by SaaS applications as their data is now hosted in data centers that are not managed by them. Join this webinar to learn more about the evolution of the data center landscape and how to redefine your security strategy to cover the unique risks surfacing from the adoption of SaaS applications.